So my boyfriend and I are now expecting! Though we're not sure of the gender yet. We have had a difficult time agreeing on names and finally decided on Alyannah Daisy and Kutler Michael (middle name after the dad). However I liked Cutler with the "c" but my boyfriend said it reminded him of "cutlery." Also we love Alyannah pronounced Aly "anna" not "onna." 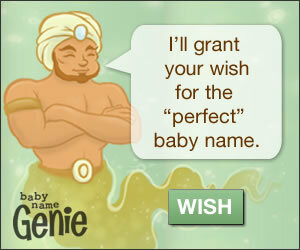 We really like both these names but I'm afraid they sound too teenmomish, which i want to avoid! So please help! I need honest opinions! I honestly feel like they are a bit "teen-mom" for my taste. Can I make suggestions? Like any? If I can get a feel for what you like, I'll suggest more. Thanks! My boyfriend has actually suggested Kellan in the past! We also liked Aly Ann, but couldn't come up with any names we liked that Aly could be short for. Any suggestions? You could make her first name Aly and her middle name Ann and then call her Aly Ann. My niece, Victoria's, full name is Victoria Anne Johnson. Everybody calls her Victoria Anne, Tori Anne, or Vickie Anne. I also love Kellan for a girl. but the spelling you have is not my style. I prefer Kellan to be spelled "K-E-L-L-E-N". I don't know if you guys do. Maybe too many E's for some people's style (because they're both in the same spot on different sides)? I do like Kellen/Kellan in either spelling. It's your child so it would be up to you. Interests:singing, writing, reading, psychology, science, math, forensics, children, going to church, being with my family and SEC football. War Eagle! I love the name Kellin (with an I at the end, obviously lol) I want to name this child Kellin so bad, but I don't want anyone to try to call him Kel. Kellin is such a pretty name. Or you could name her Hallie or Callie. They rhyme with Allie haha. How about Callie to get to Aly? I guess that would be Allie. Also Alyson (2 syllables) instead of Allison is a kinda cool.